One of the biggest challenges faced by schools principals is managing the excess amount of paperwork. Paperwork is one of the biggest areas of frustration for modern day principals. You – the principals – can always run away with such paperwork. Instead, you can automate the daily operations and processes by implementing an online platform. You can also automate processes such as course evaluation. In a nutshell, automation can help you get across to more students and that too in a positive way. How well your school performs depends significantly on the strategies and decisions that you make for the same. As a principal, you would always be facing complaints about class scheduling. These can come from just about everyone associated with your school. This includes people such as teachers, students, and general non-teaching staff. You can always use an automated system for timetables and thus cognitively reframe your scheduling. This way, your instructors would find it a lot easier to manage class schedules even if they have to do it for many courses, rooms, and faculty at a time. If the scheduling is innovative it can help do away with various conflicts that normally happen when you do scheduling work in a manual way. This way, you are also able to have substitutes for your regular teachers. This, in turn, helps you maintain continuity in terms of instruction. One of the basic problems that you would face in your role is recruiting teachers who are competent enough to do the work in various classes. Normally you see in schools, which are successful, that there are several top class features that make things move. Through these, it is easier to identify teachers who are sensitive and talented enough. They are ones who have shown the right competence, commitment, and will. All these are necessary to put into practice certain educational programs that are of high quality and innovative at the same time. They are also ones who can provide an unmatched level of excellence at all times for the students. You need to understand the simple fact that teachers are pretty vulnerable themselves as well. They are always finding it hard to create a bridge between learning contexts and assessments & instructions. This is especially true when the student population is a diverse one in terms of skill. You can create the instructions in an innovative manner and make the curriculum a flexible one. This way, it is always easier for the students to gel with the teachers. You can always use a faculty evaluation system for such a purpose. In such a system you can create a component of peer evaluation. You can get this done through online surveys. You can also create a benchmark to judge how effective a teacher has been. On the basis of this evaluation and feedback score, you can create an action plan for improvement and training. This will help your faculty members immensely. This is because they would be able to become a lot more cohesive in their work and teach a lot better than what they have been doing so far. One of the major problems that you face from students is the lack of discipline, something that is reflected the best in things such as absenteeism. You can always take some steps to make an improvement in this regard. For this, you can use tools such as attendance trackers that function on technology like biometric and RFID (radio frequency identifier). This way, you can check what students are doing on a real-time basis. It helps in improving their educational performance as well. You can also use these systems to maintain discipline and order in your school and control issues such as violence, bullying, vandalism, and racism, to name a few. This way, your campus also becomes a lot better for all. There is discipline over there and of the sophisticated kind, it may be added as well. In these cases, mobile devices can be used to capture untoward incidents and actions, and then authority figures such as you could be informed on a real-time basis. This, in turn, makes sure that the students are all safe. Read Also – What Are The Top Rated Features Of School ERP Mobile App? As a principal, you are also responsible, to a certain extent, when it comes to designing a curriculum that is detailed and covers most bases, if not all. This is a critical task indeed. This is where technology such as curriculum mapping software can give you the tools that you need to carry out changes to the way you have designed your syllabus and curriculum. Through such technology, you can create a sort of education that is customized and result oriented. Such a system of education is actually capable of mapping competencies and attributes of the students in such a way that learning outcomes can be improved. This way, students can also develop the skills and capabilities that are needed for them in order to produce the kind of results that are expected from them. One of your biggest areas of responsibility – as well as a major challenge – is definitely influencing the performance of the students. As a principal, you would obviously want to promote learning and make sure that your students are performing as well as they possibly can. For this, you need to use academic planning tools that are cutting edge. They would help you create learning plans that are personalized in nature. This way, you would be able to create definite tasks and goals that are connected to the lessons that you are offering. This way, you can ensure that the students would be successful as well. You can also use online exam based tools such as the following to gauge the progress of your students such as assignments, quizzes, tests, and surveys. Thus, as can be seen from above there is plenty and more on your plate and you can easily use all the help that you get in this regard. However, for the most of us, cloud computing is strong associated with organisations, offices and large foundations. Most people do not associate cloud computing with educational institutes and most people are unaware of the benefits of cloud computing in education. Over the past few decades, education has gotten a lot of impetus by the government and this is one of the reasons that this sector has grown and evolved. But, one of the biggest challenges is modern schools and colleges is that lack of digital infrastructure. This is because the maintenance of IT infrastructure needs a wide range of hardware and software with ample investment and skills to support them. One easy solution to most technical and IT related problems in schools and educational institutes is integration Cloud computing in education. 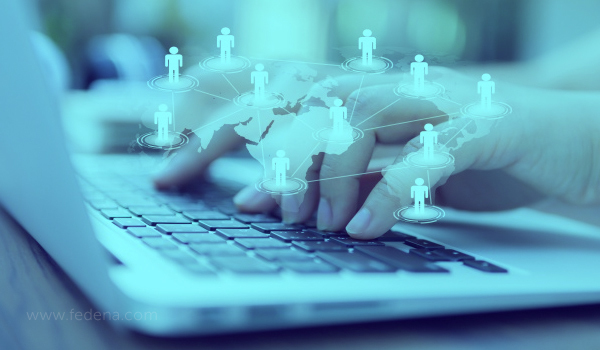 It essentially means setting up the various computing resources that can be physically located at any place, but yet digitally shared in a seamless manner. It means the creating of a unified framework where all the school, student and staff relation information can be effectively saved and kept in a secure manner. The cloud computing with educational institutes guarantees that students, teachers, school staff, and parents have access to basic school related data utilizing any gadget from anyplace. The computing empowers the aforementioned audience to do numerous activities effectively such as sharing classroom related files, service computing, creating and managing classroom collaboration systems, and online education and teaching. In this system, an online classroom can be easily created for training and this classroom can be held electronically and between human and computer. These classrooms are secure, flexible to changes in conditions and goals and have a lower cost of implementation. The use of Cloud computing in education ensures that the delivery of various services needed by the school is done efficiently and quickly. The use of this technology enables the classroom teachers to quickly arrange and organised learning that is based on the performance data of each student. The teaches can personalize the lessons using the data and ensure that they are able to understand and tend to each student’s unique learning style. Another benefit of using Cloud computing in education is that the classroom teachers have access to technology that will help them to standardize processes, provide access to centralized information data centers and this will go a long way in increasing the reporting consistency. 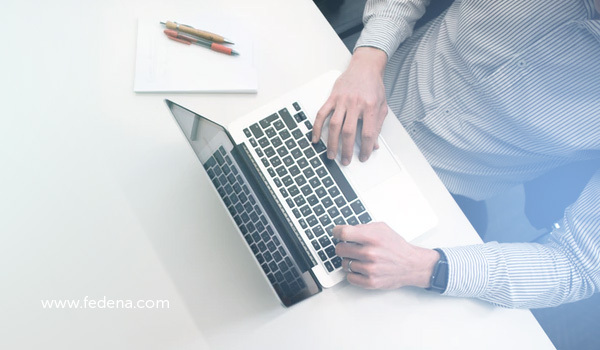 It also ensures that the IT team is aware of all the services being used and the team can accordingly decrease any unnecessary ongoing operating expenses by paying only for the services use by they school. What cloud computing with educational institutes also does for schools and educational institutes is that they help to reshape the teaching in the classroom through greater opportunities for collaboration. The use of a cloud-based educational system offers a wide portfolio of cloud services that help to create a vibrant and a rich interactive learning environment to any student, sitting in any remote branch of the school. These cloud computing with educational institutes make teaching and administration of a school a lot easier than ever before. Even for schools that are looking to organised training courses for the teachers, can do so over the cloud in a cost effective way and across geographical boundaries. 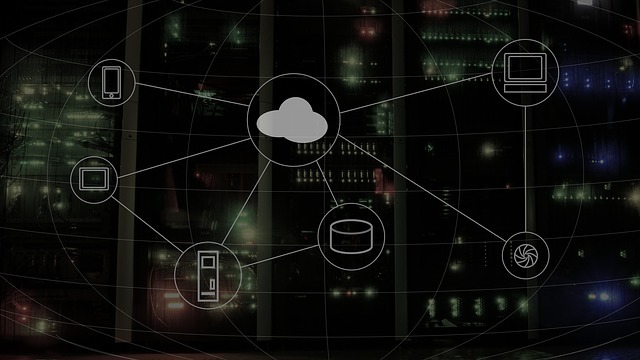 Cloud computing can open up a completely new universe of learning to students while reaching out to more and more diverse students across geographies and locations. Today, implementing cloud computing technologies in schools and educational institiues is a way to create a framework for schools in which they can offer the best to their students, parents and teachers. The cloud computing technology ensure that it check the requirements of the school and meets them in a way so that each students gets the best of the school. School can utilize the cloud technology to convey better school administration systems that work efficiently with few IT assets while reaping multiple more benefits. How Education 4.0 Can Transform the Schools’ Stakeholders Experience? Broadly speaking, education 4.0 is a school of thought that encourages non-traditional thinking when it comes to imparting education. Education 4.0 essentially uses technology-based tools and resources to drive education in non-traditional ways. This means that students are no longer in traditional classrooms learning from teachers using textbooks, pens and papers only. Instead, with Education 4.0, you can have remote students that sign into their classrooms using the internet through modes like massive online open courses or video chat or dialling in through voice calls, to learn materials that are more dynamic in nature with peers who might or might not be learning at the same pace as them. Education 4.0 was developed as a response to Industry 4.0 that saw a marked increase in the use of internet-based technology and communication tools across industries. Many other industries responded to this change in the way of doing business, resulting in Healthcare 4.0, Technology 4.0, etc. The educational ecosystem was no different. 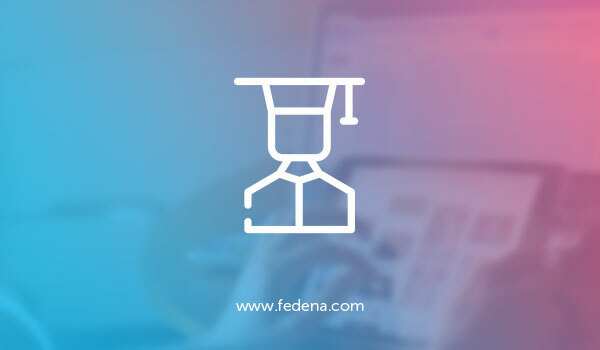 Education 4.0 is developed as a response to Industry 4.0, in order to create trained, qualified professionals who are ready for a highly globalised and digital-driven world of work. Why do we need education 4.0? More and more modern research shows us that education must keep pace with the world it is training students for, for them to have safe futures that are financially viable. Education 4.0 ensures that the teaching experience is similar to the working experience by creating a similar environment for both, through the use of technologies and tools that are endemic to Education 4.0. Education 4.0 is thus a more realistic and practical approach to learning, resulting in great student learning outcomes. It is important to keep pace with the changing world, and Education 4.0 being the approach implemented across educational institutions ensures that. 4.0 leads to better learning outcomes for students in terms of their real academic or professional interests. How does Education 4.0 benefit teaching staff? Education 4.0 is a system that benefits multiple stakeholders – especially teaching staff and educators. Educators might feel that the Education 4.0 philosophy of personalised learning just means more work for them, but this is not actually the case. Instead, education 4.0 really benefits teachers and educators in educational institutions because they are able to better serve their students’ specific needs. Teachers are finally able to teach to students instead of the curriculum thanks to Education 4.0 – the use of tools and technology makes it easier to provide this personalised learning attention for them. This results in better student learning outcomes which means better teaching outcomes also since the teaching educators and teachers are doing actually results in practical results. Education 4.0 also empowers teachers and educators by giving them tools that make their jobs easier. 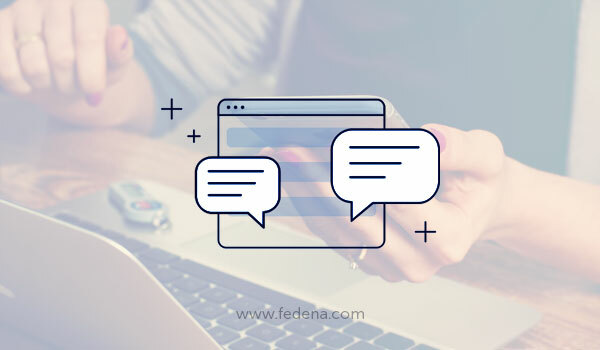 A school management system like Fedena, for example, helps teachers better communicate with their student but more efficiently and quickly. It reduces administrative burdens on them by automating many processes, while also modernising some teaching processes and methods. Education 4.0 is built for teachers to feel empowered and be better at their jobs, which in turn improves student learning outcomes. How do Education 4.0 benefit management and administrators? Education 4.0 is not just for teachers, educators, and students. Management and non-education staff, like administrators, can also benefit from education 4.0. This is primarily because education 4.0 is built around the optimal use of tools and resources driven by technology. These tools, like school management systems, are often built to make the running of educational institutions more efficient and reduce the labour and financial burden on already overworked administrative staff. Education 4.0 allows these workers to shed the burden of tiresome, error-prone processes and instead focus on what they are best at. This positively affects student learning outcomes – administrative staff is better able to focus on supporting their needs instead of being distracted by having to put out fires that have been ignited due to inefficiencies in the system or being consumed by the day to day running of an office. For management, education 4.0 makes the system more efficient, which obviously has better financial outcomes – the reduction of overheads caused by inefficiencies will result in saving money, which is always needed for any educational institution. Secondly, management can also move towards more productive workplaces and thus a more productive business model under Education 4.0. How does Education 4.0 benefit students? This is the key goal of Education 4.0 for all educational institutions – to benefit students and improve student learning outcomes. Students are the ultimate stakeholders in any educational ecosystem and the key beneficiary everyone is working for in the educational ecosystem in general. Education 4.0 centres students as the beneficiary like never before. Through the use of technology, students have better access and relationships with their various other stakeholders in the system – from better communication with teachers, more allied goals with parents, and management and administration also find it easier to help the student overall. Student learning outcomes improve proportionately to how well education 4.0 is implemented. Education 4.0 also helps with better learning itself – most tools and technologies that education 4.0 relies on are built to help students learn much better and more effectively than previous teaching and learning methodologies. Often times, the learning is personalised to the student’s interest in Education 4.0, which means that there is already an inherent interest that the learning material is catering to. Education 4.0 also makes learning more accessible – from using dynamic teaching material like images and video to keep students interested to having learning materials be accessible more easily to students across devices and platforms to even students being able to log in any time and from anywhere to learn at their own pace. Education 4.0 is truly revolutionary in terms of strongly improving student learning outcomes. Marketers across the world have realised the powered of the internet and have integrated digital marketing tools as a pivotal part of their marketing strategy. A few years ago, marketing managers allocated most of their budgets towards traditional print media and on outdoor campaigns. However, these had a limited life. For instance, an advertisement in the newspaper, only had visibility for one day, after which the chances of it being seen by anyone was limited. Today, the internet has unleashed an unending list of possibilities for marketers and schools too can benefit from this online boost by reaching out to an increasing number of parents and increasing their admission rate. Creating an inbound marketing strategy essentially means attracting parents to your school website by offering information that a prospective parent would be looking for. For instance, you can invest in creating relevant blogs and articles on your website which can be easily found on the internet by your target audience. You can also use these blogs to highlight various aspects of your school in detail. Events, activities and other school features can be shared with prospective parents to help them understand the essence of all that your school has to offer. Social media platforms such as Facebook, LinkedIn, Instagram have become a large part of our lives and often play a role in influencing our purchase decisions. This makes it essential for schools to create an online presence and use the same to reach out to prospective students and their families. This can be done with the help of sponsored posts and pay per click (PPC) campaigns. 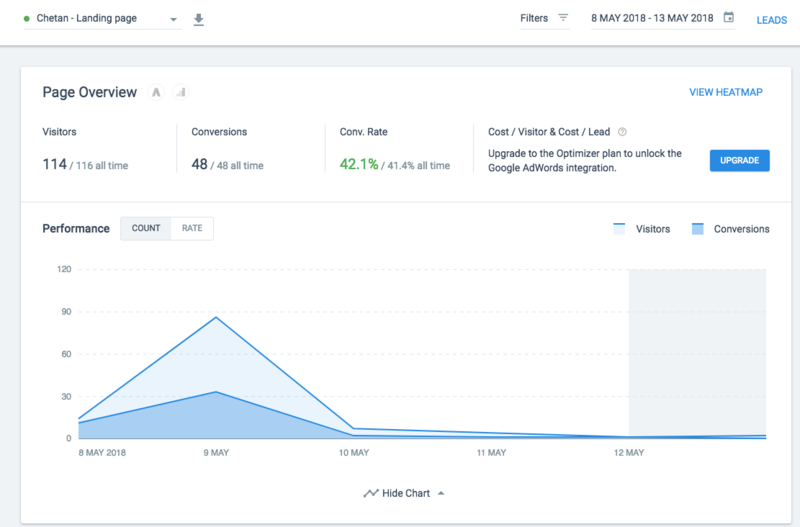 A PPC click campaign is also the perfect tool for a short-term marketing activity or for promoting time-sensitive content such as admission driven content. 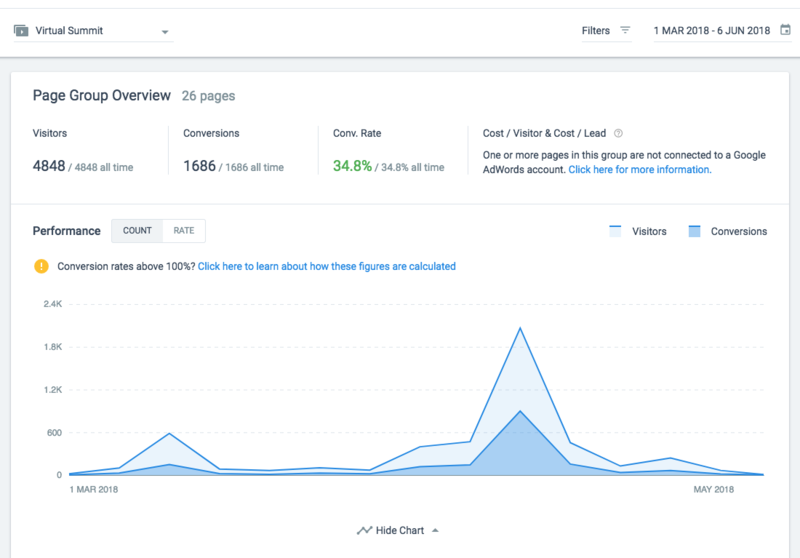 When used intelligently, a PPC campaign can boost the online presence of your school tremendously. 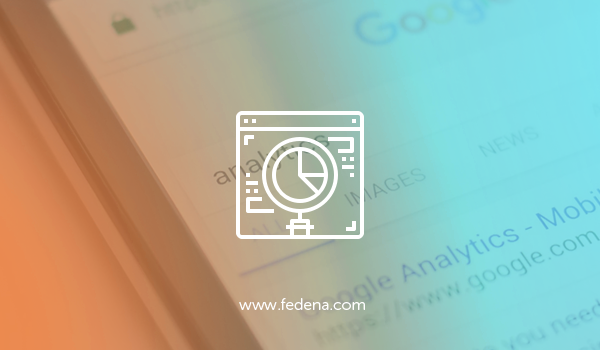 When running an online marketing campaign, irrespective if it is an SEO activity, or a PPC campaign, one of the most essential elements is to create a Call to Action form that needs to be placed on the landing page. It is essential that the advertisement, the landing page and the Call to Action all tie together into a logical and compelling journey for the prospective parent or student. In a hyper-busy and connected era it can be difficult for parents to take the time out and to vest a school for a tour. Schools can incorporate virtual tours into their website along with 3D images of their classroom to allow parents an opportunity to view their school from any geographical location. This saves the time of the parents and yet helps them feel connected to a school despite not visiting them. Digital marketing is not only an art, but it is also a science that lends great results to the marketer. School that can effectively create an online presence using these tools will not only be able to reach out to a larger number of parent, but they will also be able to position and present themselves as a modern school that is digitally forward and parent-friendly. There are several ways in which innovative technology can be used in the teaching and learning process. First of all, you can use these technological tools in order to get the students engaged and also ask them the opinions that they may have on the subject that is being taught in class as well as any and every other aspect of the process. When as a teacher you can create a closed chat group or even a special account on Twitter for that matter it will help you improve your communication with your students. You can also ask them to provide you feedback regarding the goings on in the classroom. It does not really matter as to what grade you are teaching. It could be a fourth grader or it could be a senior as well. Every student out there likes to have a good time in class. 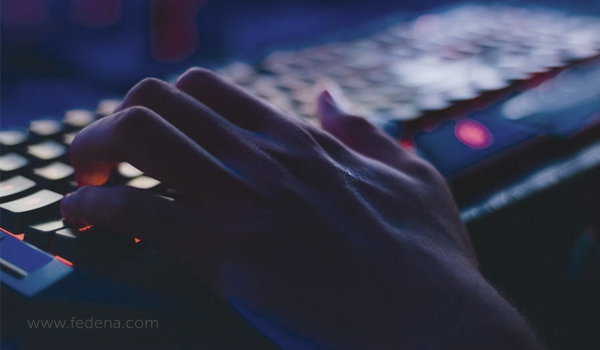 In the modern world, there are plenty of opportunities for gaming and you can make them a part of your teaching routine as well. You can be sure that using these techniques will make your work a lot more effective than what it was earlier and it will be far more interesting for sure. These days, technological tools such as Skype have made it easy to invite experts in various subjects to your classroom and help your students get better. Their location now is no more a hindrance. Let us say you are taking a class on Genghis Khan. You can easily invite a specialist scholar to provide a small lecture on him to your class through Skype and help them get a better hang of things, so to speak. You can be sure that such lessons would be very interesting for your students and at the same time, they would learn a lot of things as well. This is yet another benefit of using technology in class. You can always use technological tools such as the likes of photos, animated presentations, and videos to name a few. You can also create a number of interesting tasks with these tools. This, in turn, would help the students be as creative as they can and they would be a lot more engaged with the entire process too. You can also create some engaging contests this way. Recap: Can Your School Management System Eliminate Paper Report Cards? With the help of technology, you can let your students create small groups in class and work on a project or task as such. In fact, based on the requirement of the task you can let the entire class form a group and work on it as well. This way, you would be able to teach your students how to work and thus this process will be far more interesting as well. These days, simulations have emerged as a powerful educational tool as well. Various kinds of simulations can be extremely helpful as far as teaching and learning are concerned. As such, they may be there in the shape of games they can be really hard to perform. This is why they can be so effective in a classroom. In marketing industry, we see emerging trends & tactics which aid in boosting the lead generation, customer engagement, brand awareness, better visibility and much more. But most of the time the implementation of such strategies, cost a good amount of money, due to which most of the organizations are not able to adapt it to their operations structure. But when my team saw this new concept, we knew that this was going to be the next big thing in our marketing strategy, as it has been rolling out & espoused by several other industry marketers and everyone has experienced positive results, this new trending and intriguing concept is termed as a Virtual Summit. Virtual summit helps in creating the brand awareness, lead generation, revenue generation and much more. No matter which type of organization it is, a startup or a well established one, anyone can launch a virtual summit. The main idea behind it is to attract lots of new prospects at zero cost, educate them and create an effective impact on the target audience, which would eventually turn them into your business promoters. For the first time launching the virtual summit, that too in 60 days was a crazy idea, but we were fanatic about it. 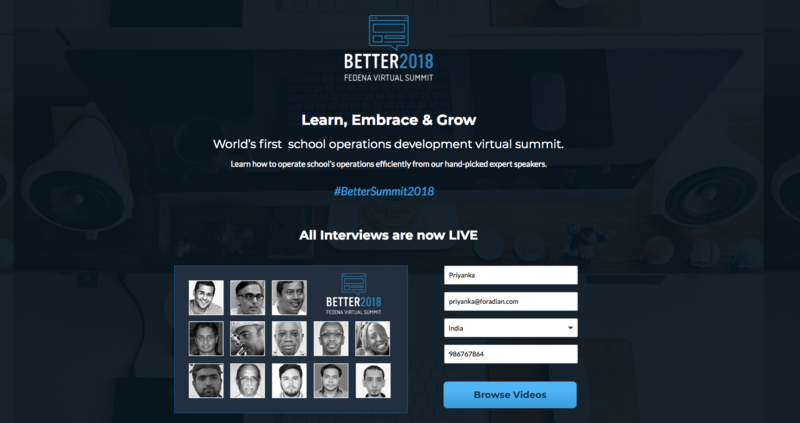 So, we began the journey of our first Virtual Summit – “BETTER 2018: School Operations Development Virtual Summit”. This can be either brand awareness, lead generation or revenue generation which varies from company to company. In our case, we were launching the summit for the first time, so we decided to keep our goal as brand awareness and lead generation because we’re not in event management sector so we were aware of the possibility of mistakes therefore to avoid them we kept our goal which was easily achievable, measurable and manageable. While deciding on topic and theme for the summit, it is crucial to understand the existing problem (in your industry) you are hoping to solve through this summit; what you wish to teach your attendees and how launching the summit would help you in accomplishing the business goals. Along with this, instead of choosing a generic topic such as the importance of education or software for school management, it is beneficial to consider a niche topic in your industry so that only refined targeted audience will attend the summit. After finalizing the topic, you will get an idea about the potential speakers and partners. For our summit, we kept the theme “school operations management” because it is relatable to our product and the content was totally focused on school operations, such a summit has not yet been launched by any other organisations in the similar domain. Deciding on whether the launch of the summit should be live or recorded is a crucial thing to consider when you are in the initial stages of event planning. It is obvious that conducting the summit live, imparts greater engagement opportunity and better real-time interaction with the attendees but it also involves considerable risk, such as losing internet connectivity in the middle of the interview session which causing a negative impact on the 2-3 months planning and may also affect the brand’s reputation. But with the recorded interviews, you just have to focus on the actual recording of the interview and release it on the day of the summit. While deciding the date of the summit it is crucial to ensure that the teams have adequate bandwidth to complete the tasks, and to make sure the launching would not clash with any other events. At this point, you may have an idea how to start with your virtual summit plan. Now the next step is to promote and widely spread the event among your target audience and build the awareness. The assets which can be used to promote the event can be either or inclusive of the landing page, email campaign, social media post, engaging content, and promotional material etc. Create a list of potential speakers and reason out why they should be the part of your virtual summit. The speaker categories for our event was divided into two parts one comprised of eminent and motivational speakers (Chetan Bhagat and Sandeep Dutt) in the education industry and the other was our existing clients. You might be thinking why existing clients? They act as a catalyst for other institutes as they showcase how they benefited from the technology and the impact it had on their institute’s growth and productivity. After listing out 50 to 100 names, next step is the screening process. In this process, sort out the most qualified speaker who fits best for your summit. As our event was launched for the global audience, so to bring the diversity, we shelled out the speakers from each geography. But onboarding eminent speakers from outside the country was a no-win, as mostly their time costs quite an amount of money, so to bring melange in our summit we onboard the existing clients as the speakers. After creating a list we screen out the speakers according to our target attendees. But the major hurdle was to onboard the education leaders as speakers on the platform. The most effective way to communicate with the speakers is via sending a personalised email on which you can include the basic details about the event such as the aim of the summit, benefits, reasons to attend the event, who is the target audience, date of the event and much more. In our summit, the response we got from the existing client speakers was great but after reaching out to EdTech orators we faced some disappointment as the speakers we were hoping to onboard to our summit were charging a high speaking fee, which was quite expected. After 3-4 weeks of outreach emails and calls, we hit the most enthusiastic speakers in EdTech industry. Compelling Headline: Concise, descriptive and attention-grabbing headline which clearly explain what an attendee expects from the event. Effective Media: Such as event promotion video, a collage of speakers which act as a magnet to attract the potential audience. Strong CTA: Clear and compelling call-to-action button. Which showcases they would get a full access to attend the summit after they click a particular button. Lead Capture Form: Form where visitors submit their basic information, but the length of the form should be short just the include the necessary details. Speakers: Headshot of every single speaker along with their name and topic about which they talk about in the summit. Event Details: Nitty-gritty details of the event such as why attend this summit, what would you learn, agenda of the summit, what are the other thing stored in the summit apart from speakers videos. The achievement of an event’s goal relies on the promotion method. As it not only helps in widening the reach and creating a brand awareness for an event but also helps in the lead generation process. The lead magnet can be used to attract the customers and retain their interest in attending the summit. 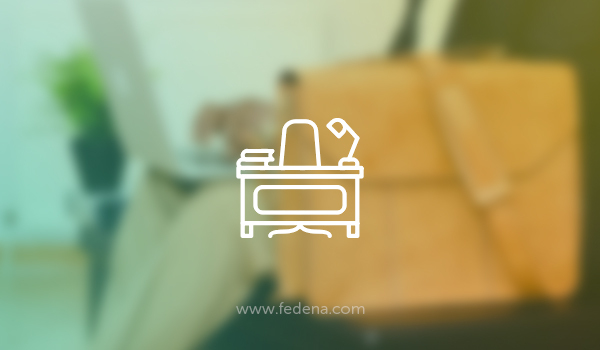 For our summit as a lead magnet, we used the idea of Masterclass of our product and shared the Future plans of Fedena. Recording an interviews is a time consuming process therefore after finalizing the speakers, the first step to do is schedule a meeting with the speakers, choose a topic for the interview, prepare the interviews questions, share it with the interviewees so they can prepare themselves, record the interview and finally edit it to make it look more professional. Finally comes the event launch week. One to two week before an event launch, continuously promote the event and send the event joining link through newsletters so that on the day of an event they will not feel hassled and bewildered. When we launched out summit we had some trouble communicating the process of joining the summit, due to which we received several phone calls about how to join the event. But finally we overcome such problems and everything went smoothly thereafter. Hence, as a rule, continuous interaction with your attendees is very crucial. You can also educate your attendees by doing regular posts on social media, blog posting, publishing posts on speaker’s digital platform and newsletter about the agenda. Make them feel engaged and excited by maintaining proper communication during the event. After 1 -2 weeks of an event, send thank you note to your attendees. Our keynote speakers were existing clients so to appreciate their contribution, time and hard work we honoured them with a “Certificate of Appreciation”. Sometimes it becomes very challenging to create a brand awareness for the product for which there are several competitors in the market who are doing the same efforts. But with the help of virtual summit, putting your brand on everybody’s lips become easy, that too at a zero cost expenditure. When recognised & renowned public figures share their opinions then it automatically attracts thousands of people towards your website which helps people start recognizing your brand and this impact remains for a longer time. Every day marketers perform several kinds of marketing tactics with an aim to generate more and more leads. But generating leads is not always easy and sometimes it costs a good amount of money. But what if you could do the same without spending bucket loads of money to generate important leads. Yes, with the help of virtual summit lead generation become easy and effortless, as the speakers & partners also become the promoters helping by attracting their followers. Generally, conversion from prospect to leads and leads to the paid customer takes a lot of steps, but with the effective & impactful interviews of renowned speakers on interesting topics in virtual summit attract lots of qualified leads. As, when the well-known speakers & existing clients share their experience in a form of interviews, it captures the trust of the target audience and eventually increases the chance of conversion. Recap: How does school management software help institute in saving money? I wouldn’t say that our first virtual summit was an astounding success but, it was a great experience and we learned a lot from our mistakes. Therefore, to turn our fruitless journey to fruition, in the coming months we are again coming with another exciting event. The main aim of this summit is to bring together school’s decision makers and EdTech leaders, so the institutes can grasp the significance of technology and also envision how can the technological transformations aid towards leading and shaping the future of education system. IoT stands for the Internet of Things. It refers to a network of physical devices (other than the usual laptops, mobile phones, computers, etc.) that help integrate the physical world with the internet through the exchange of information. Essentially, it results in more seamless integration of every device around us with the internet and all its capabilities. Imagine your fridge telling you that you are out of milk and you then being able to tell it to order some more. Or even set up a regular schedule for the ordering and delivery of repeated items. This is possible through IoT, or Internet of Things. It is one step closer to living in the future we saw depicted in films. Where is IoT usually used? IoT has been used across industries and sectors, but one of the most visible uses of IoT so far has been in retail. Think of Amazon’s Dash buttons that allowed you to order more laundry detergent from the site at the literal push of a button. Or integrations into a Smart Home. But IoT is not limited to just ordering things off of the internet. It has seen an application in manufacturing, energy management, environmental monitoring, agriculture, medicine and healthcare, elder care, deployment at scale, and transportation. How can IoT be used in schools? The growing ubiquity of internet and technology in schools means that a development like IoT is not very far behind. But what could the applications of such tech be in your educational institution? Is this just a me-too gimmick used an excuse to raise infrastructure costs on the parents paying their wards’ school fees? In short, no. IoT in education can be used in multiple ways to enhance the school experience – from teachers understanding the way their students’ minds work, thanks to devices that track how students are using classroom materials and sharing that data, to improved security and safety of scholars thanks to devices that radio logistical details during the child’s commute to school. 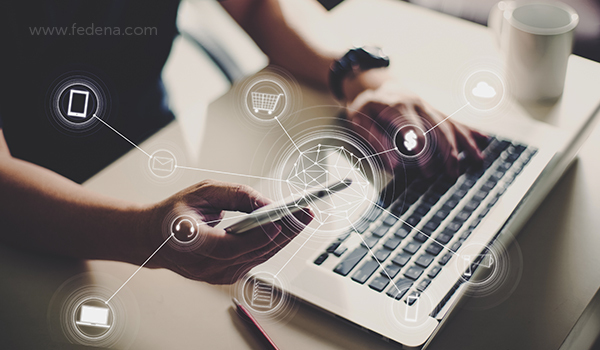 IoT is a step towards removing barriers between the online and physical presence of stakeholders, in an effort to ensure that technology enhances the learning and teaching experience for all of them. Why should I be using IoT at my school? Internet of Things, or IoT, must be viewed not just as an add-on or perk offered to students who can afford it. It must be seen as a method by which students, teachers, parents, and non-education staff can have a seamless scholarly experience. This mindset change must take place in order to use IoT effectively and to its full potential. Recap: What Are The Benefits Of Fees Management System In Educational Institutions? How have educational institutions used IoT in the past? A very obvious use of IoT that might already be in place in your school is the use of smart boards to connect academics and teachers all over the world. Highlights, annotations, and notes are available openly to anyone who is allowed access, enabling the free and open sharing of information and insights. This results in greater collaboration and enhanced learning for students and teachers alike. We have spoken previously about the importance of student safety and campus security, especially in this day and age. This is an area in which IoT shines. IoT devices help parents, teachers and non-education staff help keep track of students while they are on institutional premises. This means a reduction in unexplained absences, ensuring that students are where they need to be, and a starting point to address any potential issues that may be the reason for the student’s presence (or lack of it) at a given place. Artificial intelligence (AI) is now a part of our lives whether we know it or not, and whether we accept it or not. It has risen to such a status over the years in a slow but steady manner. Everything that we do like buying clothes and shoes on the internet as well as watching shows on TV is influenced to various extents by AI. However, the question that needs to be asked in this context is what effect would this have on education? The fact of the matter is that AI does not take away, in way, shape, or form, from the classroom. Rather it makes the classroom experience a lot better than before. This is one of the benefits that AI is expected to have as far as education is concerned. In a class, it can get really difficult for a teacher to meet the expectations of each and every student out there. After all, there are so many different kinds of students that teachers have to deal with! There are remedial students, ESL students, advanced students, and students with special needs, to name a few. In this day and age, it is very important that all of them have the same kind of access to education and learning. The beauty of AI systems is that they are able to adapt quite easily to the individual learning related requirements of a student. As such it can also target instructions that are based on their relative strengths and weaknesses. It also reduces the meaningless work that teachers have to do every now and then. This also means that the learning experience is a lot more meaningful for the students. In fact, this is one effect that is already being seen evidently. AI is already being used in order to teach students. There are so many ways in which machines are starting to play the same role that was once being played by humans and this includes tutors as well. Just like human tutors can do, intelligent tutoring systems are able to understand the style of learning preferred by students. They are also able to gauge the amount of knowledge that a student already has. All this data and analysis is being used to deliver instructions and support that is created specifically for that student. This has got to be the best benefit that AI can have in this particular domain. As far as tasks that teachers are supposed to do this is supposed to be the most boring. At the same time, this is the one task that takes the maximum away from them. It is because of work like grading that teachers are unable to devote more time to more purposeful and meaningful work such as professional development and lesson planning. These days, machines have become a lot more advanced than what they were earlier. They are now capable of performing a lot more than just grading an examination by using an answer key. They are capable of compiling data regarding how students have been performing. In fact, they can also grade on assignments that are as subjective as essays. Nowadays, AI has the capacity to find out gaps in course content on the basis of how students are performing in the assessments. Let us say that most of the students in a class have failed to answer a question the right way. Now AI can actually look into that pattern and see if certain information or concepts are missing from the program’s curriculum or not. This, in turn, can help teachers provide better materials or use better methods of learning so that students can improve in those areas. This is the age when most of the people around the world are communicating by way of text messages. These days, students are also growing increasingly insecure about asking questions or clearing doubts with their teachers in front of their peers. For them, it is a risk better not taken. They are also worried about receiving critical feedback on a public forum. By using AI students would be more comfortable when it comes to making mistakes that are necessary for them to learn well. As a bonus, they would also get the suggestions that they need in order to improve. With AI it would be possible for schools to create global classrooms, as it were. From now on it would no longer matter as to where a student is. If she or he is unable to attend a class due to some reason or the other all she or he would need to do is visit a link, click on it, and the student can join the live classroom. Similarly, thanks to this technology it would also be possible for them to interact with their peers even if they were a thousand miles apart from each other. There can be no doubt about the fact that technology such as AI is making education a lot more efficient and easier than what it was. In fact, as Hadley Ferguson – the executive director of the Edcamp Foundation – says, students can actually use such technology in order to interact with their teachers as well as famous authors, experts, and scientists, whose books they may be reading in class. It is expected that in the days ahead some of these kids, so adept at technology, will grow up and become teachers themselves. They can push this change along even further. No matter what one may think skilled teachers would always have a role to play even in the AI age and beyond. Experts such as Shannon May, who has founded the Bridge International Academies, say that technology would never drive teachers completely out of the fray. Rather it would be teachers, skilled in the ways of using technology, driving the usage of AI based on the needs of their students. Education technology such as AI would be used more to supplement the best ways of teaching and learning that exist already. Jake Schwartz, co-founder and CEO (chief executive officer) of General Assembly, feels that with the advancement of technology there would be better ideas regarding what its limits are. He says that there is no way that going online completely is going to solve all the problems with education now. However, at the same time, he does acknowledge that it could make access to education a lot easier. According to him, when combined with school curricula and programs AI could become a powerful tool. He signs off by saying that the human factor would always be important. It is not uncommon for educators has to fear how their role would be diminished by the use of technology such as leading school enterprise resource planning (ERP) systems. It is true that when systems are changed en masse there are always some bad things that can happen. In some instances, there are actually logically justifiable reasons for such fears. 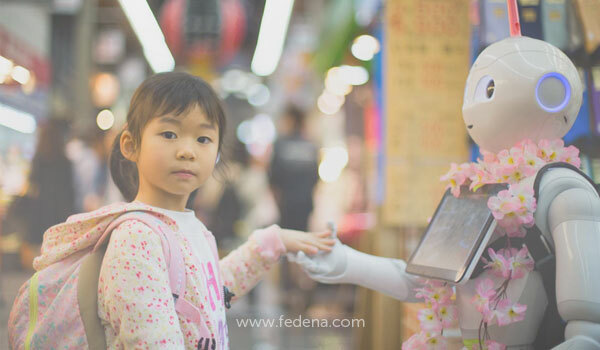 However, at the same time, it would be absolutely foolish to ignore the improvements and possibilities that AI can offer in the domain of education. It is actually supposed to bring about a dramatic improvement in the overall educational experience with AI. In fact, as has been said already, when you have the right teacher using it AI can actually do wonders that traditional methods of education may not be able to do.